"Boycott Made in Sri Lanka - Help end ethnic cleansing of Tamils"
December 15 and 16 is the International Boycott Day for a boycott of products made in Sri Lanka. The North American protest took place in Yonge-Dundas Square from noon to 4 pm. 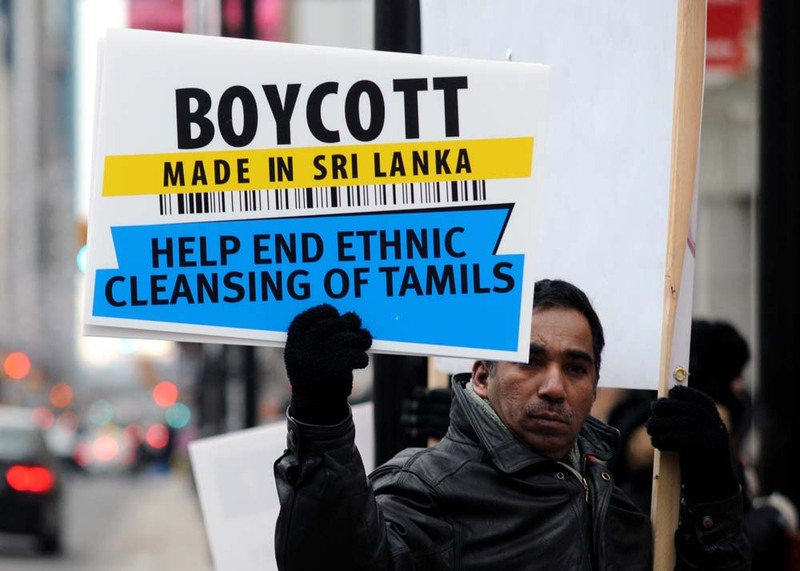 Money from the sale of made in Sri Lanka products are said to "help fund the Genocidal war on the Tamil people in the island".